--- Martinez is sponsoring a measure (Proposal 4) that would remove from the state Constitution the so-called “no-aid” provision, which prevents public spending on churches and other religiously affiliated groups. 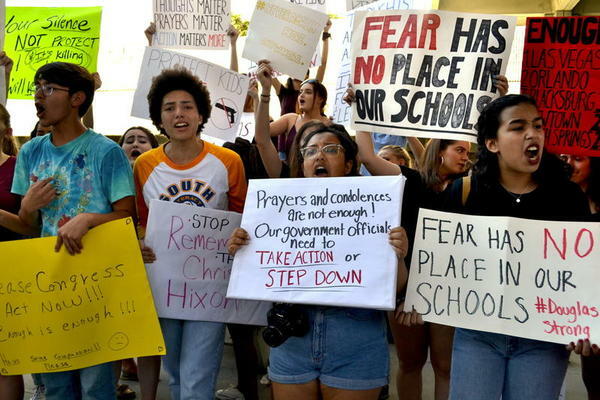 --- Commissioner Erika Donalds of Naples has several education-related measures, including a proposal (Proposal 33) that would require all school superintendents to be appointed. She has another measure (Proposal 43) that would impose an eight-year term limit on school board members. --- Commissioner Rich Newsome of Orlando has a proposal (Proposal 29) that would require businesses licensed in the state to use E-Verify or a similar system to determine the immigration-related eligibility of their employees. --- Kruppenbacher has a proposal (Proposal 54) that would eliminate the state’s controversial “certificate of need” process, which restricts construction of hospitals, nursing homes, hospices and other medical facilities. --- Commissioner Lisa Carlton of Sarasota has a proposal (Proposal 65), that would ban vaping in workplaces. --- Commissioner Tom Lee of Thonotosassa has a proposal (Proposal 69) that would ban greyhound racing and a proposal (Proposal 66) that would assign more official duties to the office of lieutenant governor. --- Commissioner Tim Cerio of Tallahassee has a proposal (Proposal 96) that would establish more rights for victims of crime, including the right to refuse to give a deposition to the defense. A prominent Republican donor says he is among those launching a new group aiming to pressure Congress to enact what he calls reasonable gun legislation. 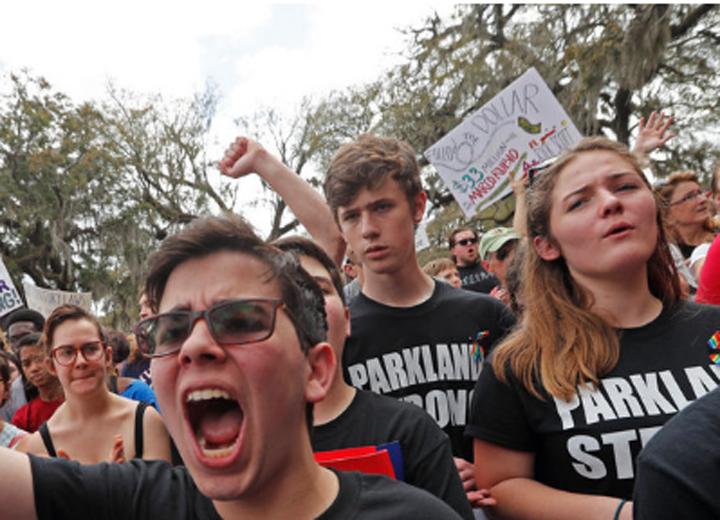 When Florida lawmakers began their annual 60-day session, two priorities were protecting students from bullies and government workers from sexual harassment. 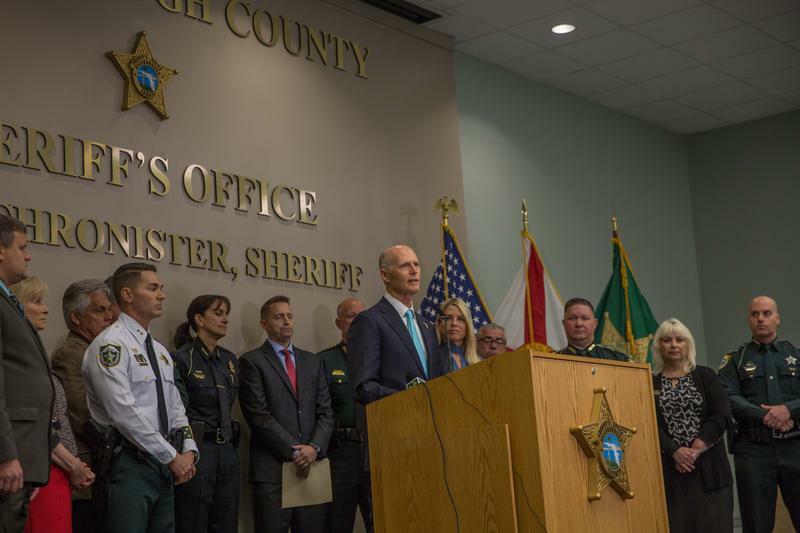 The political and legal fallout from Florida Gov. 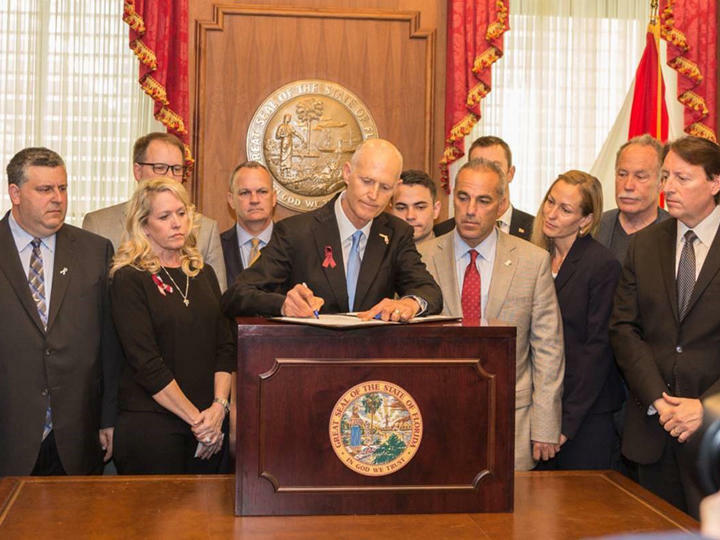 Rick Scott's decision to sign a sweeping gun bill into law following a school massacre was nearly immediate as the National Rifle Association filed a lawsuit to stop it and political candidates in both parties criticized it.